​James Beard Foundation Kicks Off “Taste America” Tour! 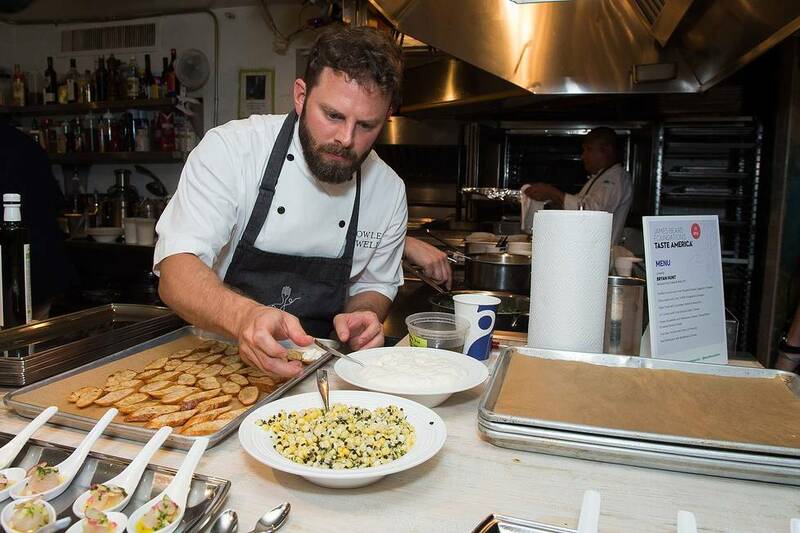 ​On Wednesday, August 3rd, the James Beard Foundation officially kicked off their fourth annual Taste America national culinary tour at the James Beard House in New York City. This tour will take place in ten cities over the course of six weeks this fall. The Taste America tour is a national epicurean tour in celebration of America’s diverse culinary heritage by showcasing and featuring James Beard Award winning chefs and culinary celebrities. The James Beard Awards is the food industry’s preeminent honor. Awards are given in several categories including chefs, restaurants, books, journalism, broadcast media, restaurant design and graphics, and lifetime and humanitarian achievements. featuring a visiting Taste America All-Star, local JBF Award-winning chefs and culinary celebrities. The special evening will include a walk-around tasting reception and a one-of-a-kind four-course dinner. There will also be festivities such as cooking demonstrations, book signings, celebrity chef appearances and tastings at Sur La Table stores around the country. Taste America is not only a great experience for food enthusiasts and local chefs but it also benefits the James Beard Foundation. The James Beard Foundation is a national non-profit that offers educational and inspirational culinary events and programs including educational initiatives, food industry awards, food conferences, culinary scholarships and more. Sponsors for this year’s Taste America tour include: New Orleans, Berville, Sodexo, Stacy’s, Tabasco, Sur La Table, Saveur, The Daily Meal, Chefwear, Hansgrohe, Verterra and Bowen & Company.